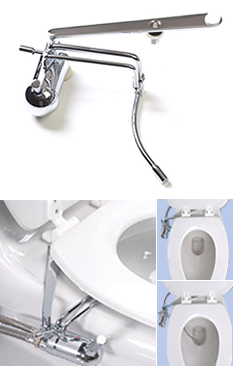 GoBidet®, by Apollo Bidet®, is our simplest cool/warm* water bidet attachment. It fits neatly under your existing toilet seat. 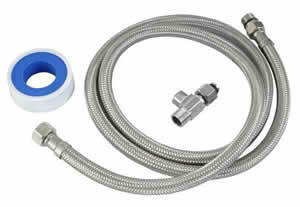 *Optional Warm Water Kit connects to hot water connection in bathroom. Purchase Kit below (2003-HIK).